There are thousands of Magic cards, which means sometimes, rather than creating a new card, R&D simply pulls one that already exists. 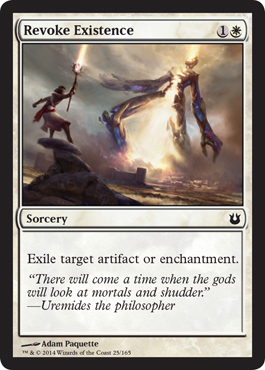 Today, we're taking a look at a reprint from Scars of Mirrodin. 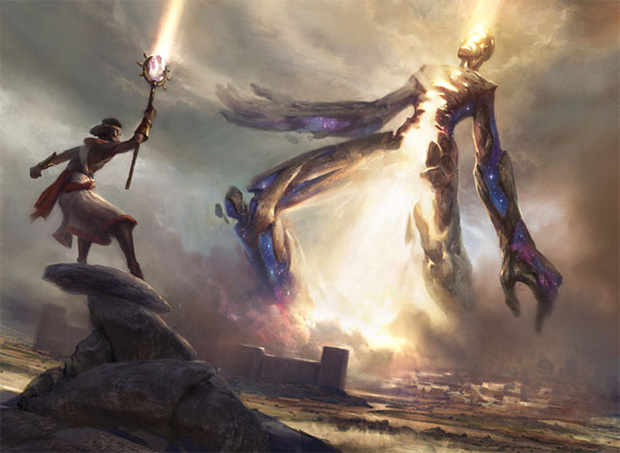 Action: Show a Nyx infused Colossus that has been hit with a thunderbolt of golden energy from the sky. The thunderclouds overhead have parted for this shaft of golden lightning to strike the Colossus, shattering it. Focus: The bolt of lightning magic. Mood: Even the mightiest can fall.